Band members Randy Owen, Teddy Gentry, Jeff Cook & Mark Herndon are great entertainers with hundreds of beautiful classic country songs for us to enjoy. On May 31, 1980 the single "Tennessee River" was released by RCA which was the debut song for a band named Alabama and as we know the rest is history. The song shot to #1 in short order and the band went on to win the Academy of Country Music's Artist of the Decade title for the 1980's selling in excess of 45 million albums. Alabama became the first group to change the way bands were accepted in the country format. 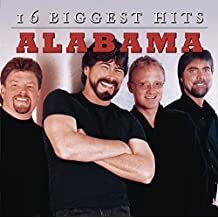 When they released their first album on RCA titled "My Home's In Alabama it became a huge hit at once and every song released from it became a #1 hit. The awards they have won over their wonderful career is countless and the impact they have had on the country music industry is tremendous.